I threw a little holiday dinner party the other night where a guest had one request: “I want some godly gourmet goodies like you’ve been posting”. Fair enough. 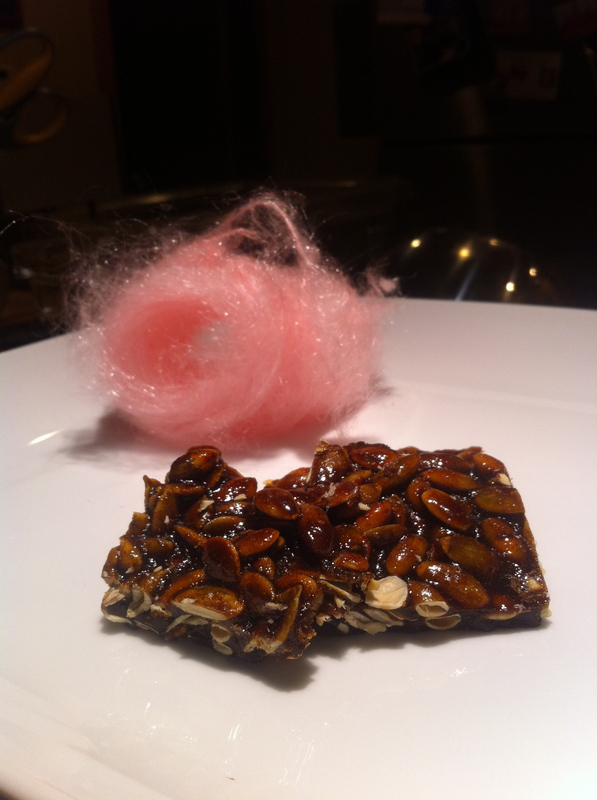 I started with a caramelized butternut squash soup (centrifuge, pressure cooker), a steak version of the Thanksgiving Stew from Modernist Cuisine (sous vide), and finally, dessert: gingerbread pumpkin seed brittle and candy cane cotton candy. Where did I get that recipe? I made it up!